There has been an error submitting your order. Please try again by clicking the Submit Button. If you continue receiving this error please contact us at [email protected] or give us a call at 800-570-3260 and one of our sales assistance will be able to assist you. 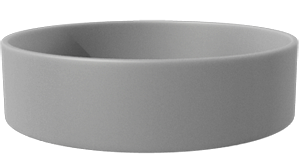 DirectWristbands.com will make every effort, upon your request to change or cancel your order. NOTE: You must call the sales department within 6 hours of placing the order with the correction. Any cancellation should also be made within 6 hours of placing your order on the same business day. 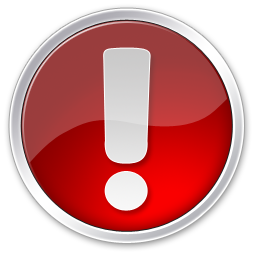 If the order has not yet started production we will not charge a change or cancellation fee. If however, the order has reached the pre-production set up phase, there may be a cancellation or change fee. If an order has begun production, unfortunately we cannot stop or make any change to the order. All prices are subject to change. DirectWristbands.com will make every effort to honor pricing. 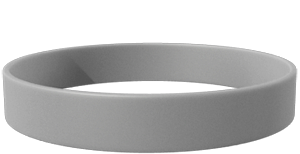 In the event a product is listed at an incorrect price DirectWristbands.com may honor that price or maintain the right to refuse or cancel any order. We will attempt to assist you with a different item that is within your budget. Payments are due at the time of order. However, orders may be placed over the phone or email. DirectWristbands.com accepts all major credit cards: Visa, Master Card, American Express, and Discover. 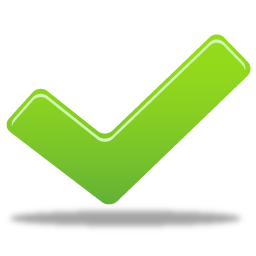 Checks and Public School Purchase Orders (PO) are acceptable. All PO payment terms are net 30 days – and the entire payment is due within 30 days from the date of invoice. You will be invoiced immediately upon receipt of your order, however, we cannot begin production of your order until payment clears. NOTE: Any problems associated with payment may cause delays to delivery of your order. DirectWristbands.com is required by law to collect sales tax for the state, counties and cities of Florida. Any companies, organizations or individuals who are exempt from sales tax should FAX us with their tax exempt form or resale certificate to 866-841-0416 when placing your order. Production time will vary anywhere between 3 to 7 business days depending on the product, service, and quantity selected. We do offer RUSH PRODUCTION, so if you have a particular in hands date, please feel free to call us on our toll free number 800-570-3260. 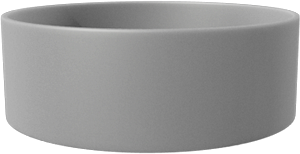 Standing behind our products 100%.DirectWristbands.com backs each and every order with our 100% Quality Guarantee. 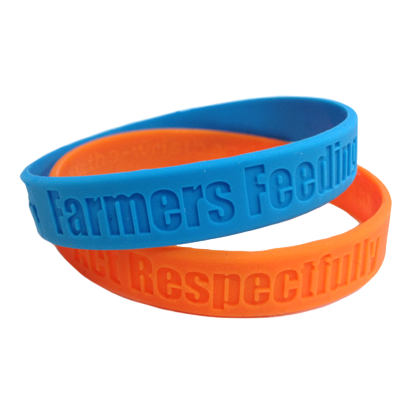 We will replace (at no additional charge to you) any wristband that is found to have defects in materials or workmanship. Legal Ownership of any and all logos, trademarks and copyrights. By submitting your design to DirectWristbands.com, warrant that you have the legal right to reproduce (or have reproduced) any logos or other images associated with your order. You also certify that the production of any images you submit does not infringe on any other company\'s rights. All orders are final. 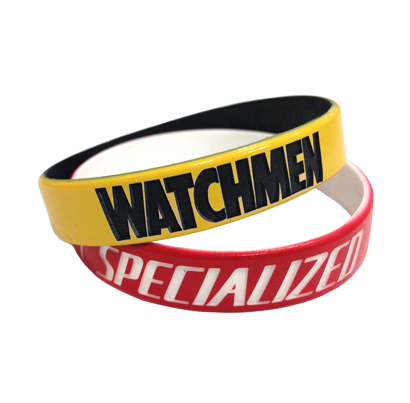 Due to the custom nature of the custom wristband we manufacture, all sales are final. Once an order has been placed, it may not be canceled for any reason. DirectWristbands.com does not issue refunds. 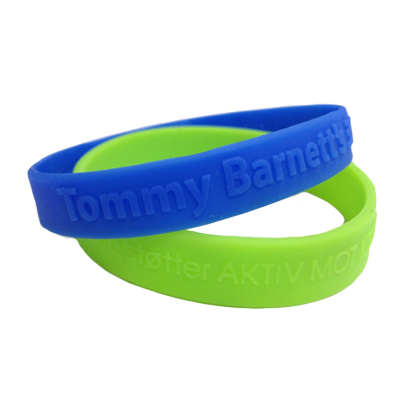 As mentioned previously, we will replace any wristband that contains defects in materials or workmanship. In the event that a legal dispute arises, it is agreed that the venue for such a dispute is Marion County, Florida, USA. Should the dispute pertain to the illegal use of copyright or trademark infringements, you agree to defend the claim at your sole expenses. You agree to pay any damage and costs assessed against DirectWristbands.com as a result of such a lawsuit or proceeding. You also agree to hold DirectWristbands.com harmless in such a lawsuit or proceeding. 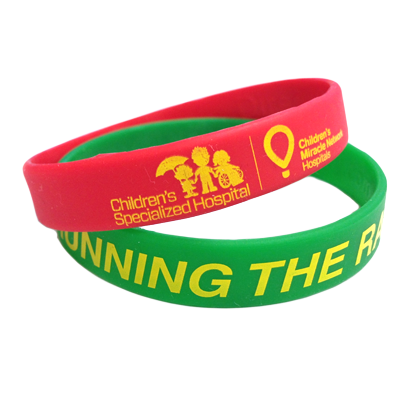 All wristbands displayed on this website containing corporate logos or registered trademarks are shown only to illustrate the reproduction capabilities of DirectWristbands.com. 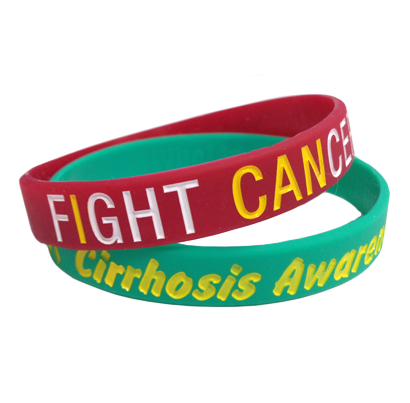 Purchase of merchandise from DirectWristbands.com in no way, shape or form grant you permission to reproduce logos, nor does it transfer, grant or lease ownership of any logos or trademarks to you.